Blue Star Vermont: Grilling Time is Coming! The snow is finally melting here in Vermont! Yes, patches of dirt are beginning to show in our yard. That means grilling time is around the corner. Although we know many of you are dedicated year round grillers, no matter what the temperature is outside. To celebrate the upcoming warm and sunny seasons, we have added two new Studly Mens Aprons to our shop. First, our Mens Hot Chili Pepper Apron. 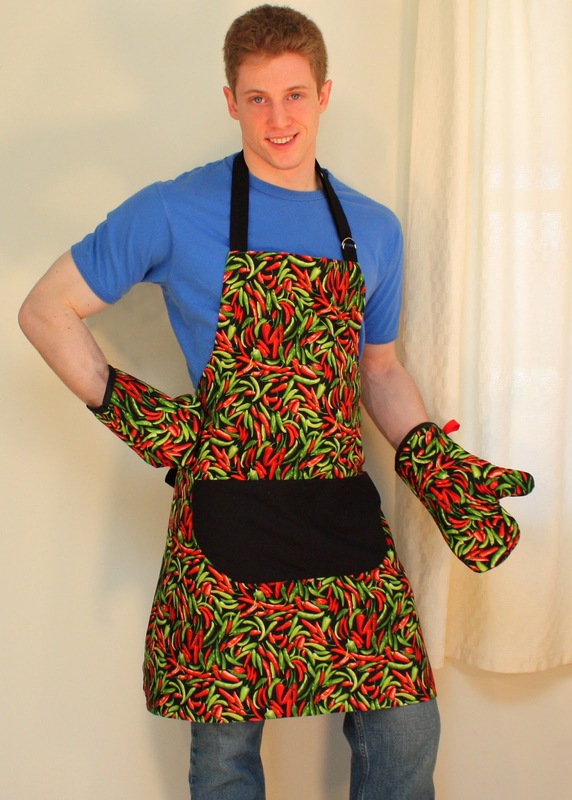 Could this be the perfect apron for your favorite Hot Tamale? We adapted a wonderful old "his and hers" apron pattern from the 1950s (the gentleman shown in the pattern was smoking a pipe) and warmed it up in this terrific red and green print packed with chili peppers. We think this apron is smokin' hot. Fully lined in black cotton, this apron is substantial and really does a good job of protecting clothes from any splatter. Look left to see our other new apron. Holy cow! 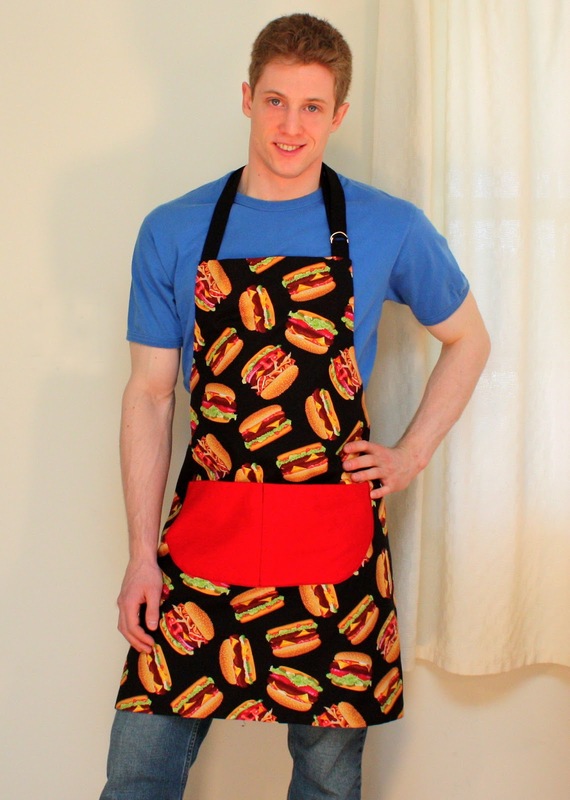 What a great burger flippin' apron. Check out these mouth watering burgers. They've got lettuce, cheese, tomatoes, sesame seed buns, even bacon. To finish it off, we added that ketchup red pocket. We were told by our vegetarians friends that those flying burgers were veggie burgers, so we know this apron will appeal to everyone. 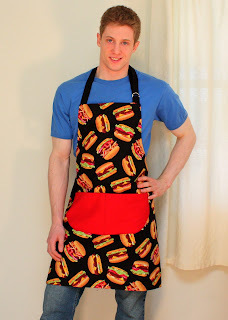 This Mens Burger Flippin' Apron is generously sized and with extra long 35" back ties and that nifty d-ring at the neck strap, it is made to fit the biggest guys. So glad you like them. I love the felted goodies on your blog.